What Is the Pro King Puzzle? Lifts are typically used in repair shops or residential garages, but these aren’t the only places where they’re necessary, and our product range is reflective of that. If you manage a parking garage, office building, or other similar space, the Pro King Puzzle may be just what you need. 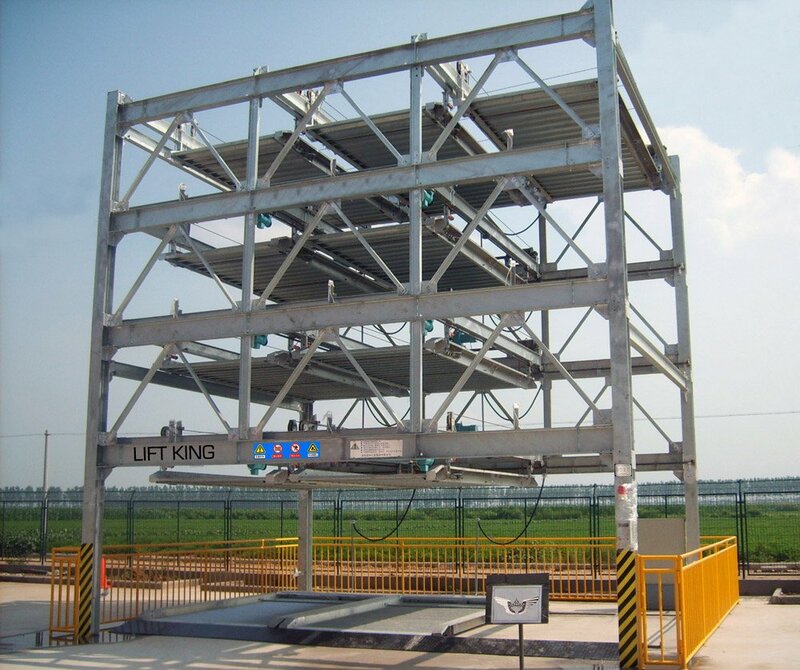 Many of the lifts we offer are portable and relatively compact. Others are larger, surface mounted configurations meant for a bit more heavy lifting. However, when it comes to sheer scale and capacity, the Pro King Puzzle is in a league of its own. Whether it’s a company headquarters, a parking facility, a restaurant, or a mall, all spaces demand an amount of vehicle storage that can handle the number of clients or employees who come and go. There may come a time when a ground parking surface just isn’t enough. This when you go vertical and install a Pro King Puzzle. The Pro King Puzzle is a grid-style design consisting of a supporting frame that contains multiple tiers of moving platforms, all operated by an electromechanical drive controlled from a console. While the ground-level platforms offer horizontal movement, each above-ground tier of the structure has an empty space that allows for horizontal movement of one platform in order to make way for the vertical movement of another. No matter which platform a car is on within the grid, it can be brought down to ground level simply by shifting the platforms around it. Think of it as one of those sliding tile puzzles with the single blank space, only a whole lot easier to figure out! 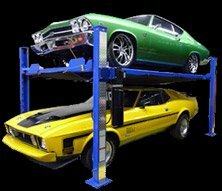 Despite its size, this car storage powerhouse has been designed as a streamlined multi-car lift solution. A lift like this should be engineered for intuitive assembly, operation, and disassembly, and that’s exactly what the Pro King Puzzle offers. Most importantly, it’s comprised of the highest quality parts and is built to last. You don’t want to purchase any lift that isn’t reliable, but with so many cars being stored at once, it’s especially important with a model like this. When it comes to Lift King and the Pro King Puzzle, high quality isn’t an added luxury, it’s a standard feature! The Pro King Puzzle is one of the most impressive, heavy-duty lift solutions we have, but we offer much more variety if you’re looking for something smaller! From multi-vehicle systems to compact scissor lifts, our team can always match a unit to your needs. Call (403) 283-1020 to find the one for you today!